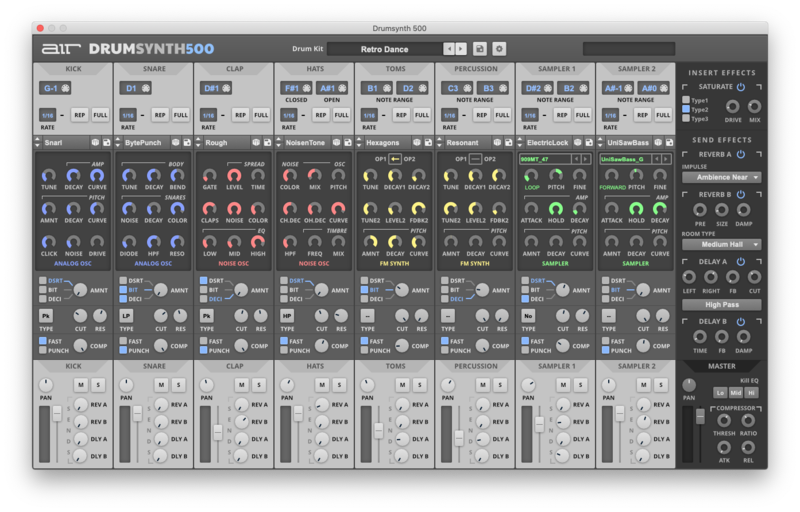 In the style of the popular 500 series synth modules comes an all new software drum synthesizer that delivers full control of all electronic drum sounds in an easy-to-use, comprehensive interface. Drumsynth 500 from AIR Music Technology has everything needed to create an endless variety of custom electronic drum sounds for all styles of music. and Alesis e-Drums. The goal was to provide an incredible mixture of vintage and all-new effects that pay homage to classic sounds while also pushing into new territory. 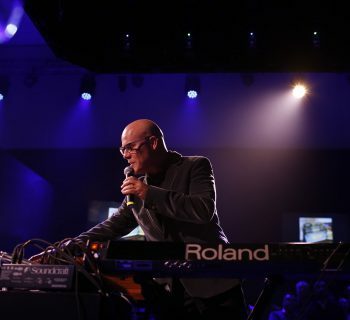 productions in the studio or live playing. To get started, Drumsynth 500 offers over 500 drum sounds, 500 drum samples, 50 drum kits and 500 MIDI drum loops which can be loaded into any DAW and used to kick-start any song or production. It's simple to start shaping electronic drum sounds. 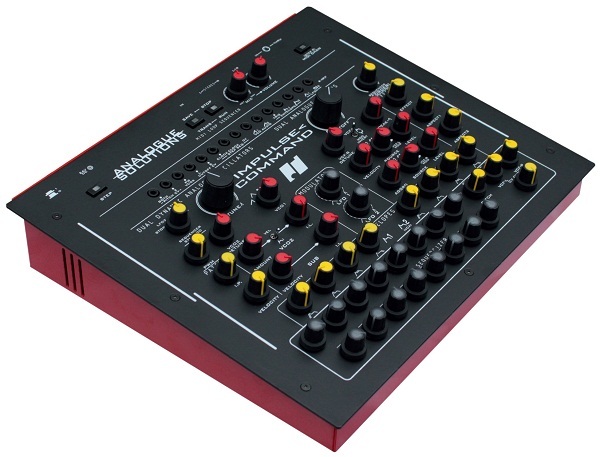 Users can dig in deep with individual parameter control for all instruments or use the randomizer, which makes a drum sounds with just one press of a button. Advanced users will find this to be a tweaker’s paradise to produce their own one-of-a-kind sound. distraction-free performance. For studio use, all popular plugin formats are supported. 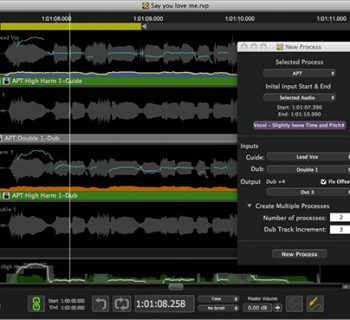 Load your sounds into two separate sampler channels, including loop, forward and reverse playback! Includes over 500 drum sounds, 500 MIDI drum loops, 50 drum kits, and 500 drum samples from an exclusive vault of Akai Pro, Alesis eDrums and Air Music Tech sounds. Easy-to-use interface with no hidden panels. 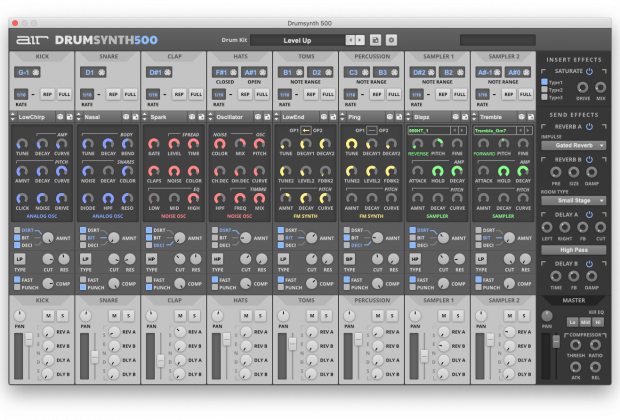 Pricing and Availability: Drumsynth 500 is available online for $99.99 ($149.99 after introductory offer). 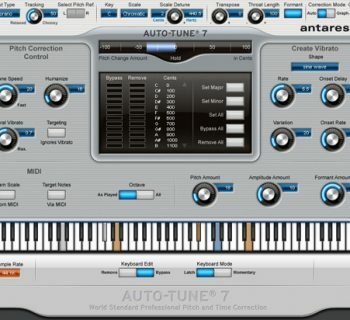 For more information and a 14-day free trial, visit: www.airmusictech.com.